Back injuries are among the most common types injuries, and as a result, often require a personal injury law professional. Because the back, especially the lower back, has fewer muscles and more ligaments that are spread out, it can be incredibly easy to tear the tissue in your back and cause long-lasting, reoccurring pain. 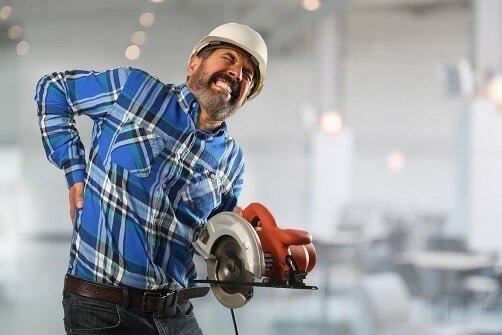 Not only can one back injury make you depend on prescription medication and regular treatment options, but it can have devastating effects on your life, as well as the lives of your family and loved ones. And to put insult to injury, insurance companies, hospitals, and bill collectors likely try to not only get out of having to pay what they should but to stick you with the entire bill instead. Not only is this unfair, but it stacks the deck against you when you deserve compensation. Rather than paying out of pocket for high bills, you can’t afford, you need to call Wetzel Law Firm. For many years now, our personal back pain lawyer team has been offering better defense against big corporate lawyers. For the top choice in local Gulfport, MS, and Biloxi, MS spine attorney firms, call us before any other local law firm. 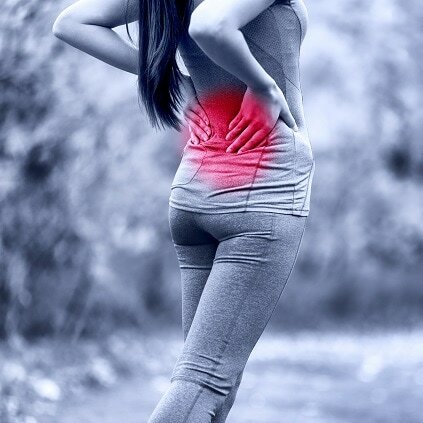 Back pain at best is a daily inconvenience, and at worst can leave you disabled and out of work. When you need back pain attorney, you need to call our firm. We’ve helped more area residents with their debilitating back pain cases, and helping more Gulfport people get the defense that they need. What sets us apart, is just how many back injury cases that we have successfully defended against. You’ll be hard pressed to find another Biloxi-area back pain law firm that works as hard as we do or one that gets the sort of results that we can. Unlike the insurance companies, we understand that when you suffer an incorrect disc replacement surgery or suffered damage to your central cord, spinal cord, or spine in an auto accident, it isn’t necessarily your fault. Most of these companies don’t care, as long as they can avoid paying you what they should. That’s why when you need the peace of mind that your spinal injury lawyer is going to give you the best representation, you always need to call our firm first. And more spinal injury law cases. No matter what caused your chronic spine pain or who is ultimately at fault doesn’t matter nearly as much as proper legal defense. When you need help navigating the courtroom, let our team fight for you the way we’ve defended so many like you in your position. For the most dependable spinal injury law firm, look no further than us. Once it’s obvious to health care lawyers and insurance companies that you aren’t backing down, they’re going to try and drop out of the case or settle on an insultingly low number. And while other spine injury attorney groups may take the bait, our team knows what you’ve been through. Rather than jump at the first lowest amount offered, our spine law firm keeps fighting until you get what you deserve. Don’t settle for anything less than the best; let us help defend you against big corporate lawyers and their bag of tricks. The hardest part of finding a dependable central cord attorney is that because of the various injuries you can have to your spine; it may be hard to find a group with the exact experience you need. But because our law firm has disc replacement, central cord, and lower spinal cord injury case experience, we have everything you need for your specific injury. When you need a team that won’t sacrifice quality, call our team right away. We’ll always give you the best defense possible.